You find me in the first week of the holidays where I have deliberately kept my diary relatively free in order to read and breathe following a chaotic term. Easter weekend was lovely, with all the family together. I had eagerly ordered all the Costa Prizewinners in January and so far I have read Eleanor Oliphant Is Completely Fine and dipped into the poems of Helen Dunmore in her last anthology Inside The Wave, written in the months leading up to her death. The latter is a contemplative collection, made poignant by the circumstances surrounding the writing. As poetry is not my forte, the link will take you to the Guardian review. And to bring you right up to date, I have allowed an hour to pass since completing Reservoir 13 by Jon McGregor in the hope that I can be excited about it. Alas, I cannot. It is original, but not in a way that I found helpful. There are no "natural" paragraphs, making the pages dense and demanding. Any dialogue is embedded within the sections, with no graphological breaks. There are no speech marks and no line breaks. This forces the reader to concentrate to keep the sense of the page. Whilst this is no bad thing, it is, to me, a bit of a gimmick that detracts from the beauty of the prose. both lyricism and rhythm. I felt however that the rhythm got a little tedious. Each chapter spans a year and charts the seasons in this Archers-esque village that seems to be situated somewhere generically near the Peak District. I imagined Bakewell without the tourists combined with the Damflask Reservoir in the Peaks near Sheffield. The setting, as indicated by the title, is nestled in quarry territory with thirteen reservoirs near the village. The background to the story is a missing teenager, who disappears whilst on holiday in the village. But this novel is less about the human story than the world in which human stories take place. Throughout the book, it seems to me as though the characters, though carefully constructed and cleverly matured over the period of the novel, are always superimposed onto the landscape they inhabit. This means the humanity of the book never really gets centre-stage. Lack of connection with character makes this book difficult for me to enthuse over. I don't normally give spoilers in my reviews and if you want to read this novel you may wish to look away now...I'll put a few line breaks in so that your eye doesn't travel, but just this once I want to comment on the ending of a story. The fact remains that the ending changes nothing,so commenting on it doesn't seem like a spoiler. There is no resolution to the event which hooks readers in the first instance. The disappearance of "Rebecca or Becky or Bex" remains just that. We find a shoe, a reference to her hoody and frequent reminders of her parents, but not at any visceral level. I appreciate that the novel communicates that no matter what tragedies or disasters occur, life goes on. The emphasis on the natural world reduces human behaviour almost to an irrelevance. Rain keeps raining, the sun keeps shining, the birds sing, nest and mate, the foxes roam and the badgers nose their way into the undergrowth. Nature is beyond and above human tragedy. That I get, and as such, it is beautifully written and conceived. On another level, the people also turn their backs. Babies are born, people die, change jobs, get married and divorced, grow up, leave home and come back again. Spanning the years, we are almost as predictable as the land around us. But there is a malevolence lurking there: secrets, lies, disappointments, perversions and threats, as mistakes are made and sinful natures revealed. 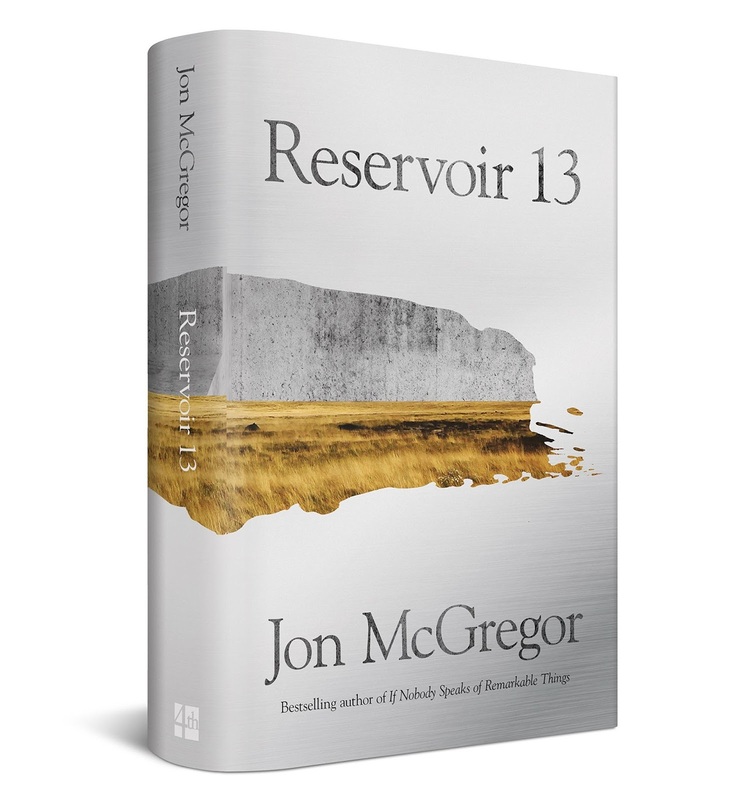 Again, a story as old as time itself, and one that remains unexplained and unexplored in Reservoir 13. The Costa judges of the Novel Award said that the book was “Hypnotic, compelling and original..." And whilst it is hypnotic in its evocation of place, I didn't find it compelling as a novel. The cyclical chapters and the minute observations I found a little soporific if I'm honest. I would have preferred it as a short story or novella...thirteen chapters was too much hypnosis for me! I also accept its originality: in form and in content. However, I prefer stories to have greater engagement at a character level, and the narrative voice remained too detached for me to invest fully in any of them. The originality in form I found distracting. However, Jon McGregor is a Professor of Creative Writing at the University of Nottingham and a Costa prize-winning author. As I prepare myself to write under scrutiny at Warwick next academic year, I am looking at this book and getting ready to learn, to discover new ways of thinking about and responding to texts. But for now, this one has beauty and poetry...and to me they are less compelling than empathetic human and political stories. Hi Cuz! I loved this book for the same things that your blog highlights. I loved the writing, a gorgeous narrative, the omniscient narrator and the sense of wonder in the everyday. I also liked the rhythm of the chapter to a year and wasn't too disappointed by the ending, the experience of reading it trumped that for me. Have you read, "If no one speaks of remarkable things", his first? You might not want to after reading this, but loved that too. I did like the beauty of the ordinary...my favourite was the worn post where she placed her hand going over a gate/stile whilst walking the dog. I’m not ready for another one yet...my soul isn’t as poetic as yours!